Keira googled herself and found Dad’s blog. She said I should write more often. To be more precise, she said I should write more often about her. I have to reach waaay back to late August/early September. One day, she came home from Michael’s with several new bottles of paint. I asked her how much she paid. I shot her a look. No poker face. “Okay, okay,” she said and began to figure it out, spreading out the bottles in pairs on the lawn. She made two groups of four from the remaining four groups of two. As a result, Keira developed a strategy. It’s hers. In joining two pairs of bottles of paint, she dealt with dollars before considering cents; she started with the part of the quantity that’s more important–the larger part. After joining two pairs, she knew that $3 was easier to work with than $1.50. Friendlier. She can skip-count by threes. If I got a do-over? More paint. Would Keira have skip-counted to $12 (16 bottles) or would she have doubled $6 (8 bottles)? In about five years, she’ll be expected to set up a proportion–and set aside her intuition!–or calculate a unit price to practice similar textbook exercises. At the time of this conversation, I was also reading up on proportional reasoning. I noticed that Keira was “attending to and coordinating two quantities”: the number of bottles of paint and the amount of money. Previously, I shared my thinking about planning a proportional reasoning unit using the KDU model. In that post, I came up with some elaborations to flesh out the MoE’s open/vague content standards. I missed the “attending to and coordinating two quantities” thing. Later in the year, I attempted Dan Meyer‘s Nana’s Paint Mixup math task in a Mathematics 8 classroom. It flopped. For several reasons. For one, I had taken for granted that students had understood that the problem involved two quantities. Paint was being added willy-nilly. I could have asked “What quantities can be counted/measured?” I didn’t. This surprised me. I mean, here she is days before proudly wearing a t-shirt that she picked out for back to school. Keira identifies as a mathematician. And author, and artist, and athlete, and engineer. When I created the Which One Doesn’t Belong? sets here, Keira was my go-to. She loved the challenge of identifying (at least) one reason why each image in a set didn’t belong. It didn’t matter that the content came from high school. “I’m nervous about new Grade (Math)” didn’t add up, so I asked Keira about it. “You have to add and subtract big numbers,” she said. 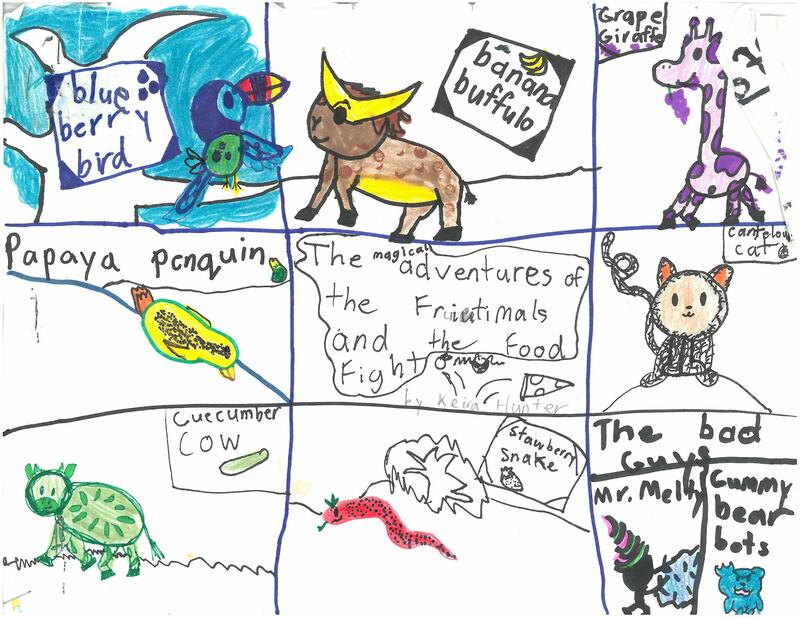 This is a kid who wrote several stories over the summer, such as The Magical adventures of the Fruitimals and the Food Fight, in which the plot could be summarized as strings of two-digit subtraction problems. For fun. 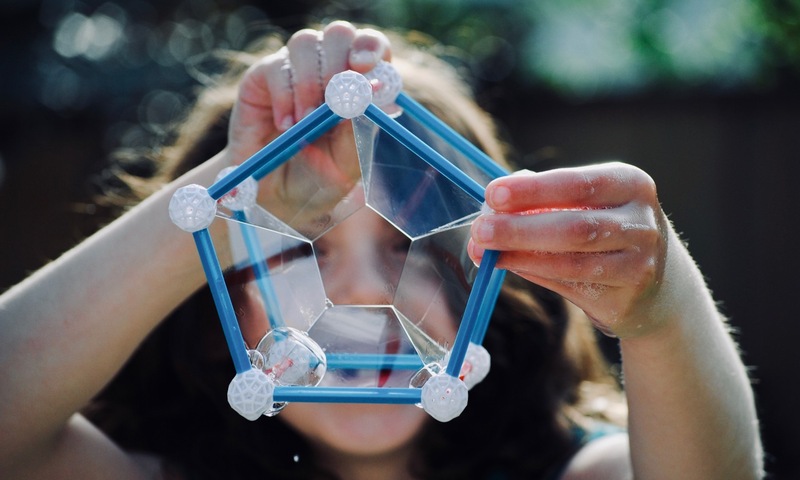 Sometimes, there can be a disconnect between mathematics at school and mathematics at home. This is not one of those times. Keira described schoolmath in terms of calculations. Her description of homemath–at least here–wouldn’t be markedly different. We’re talking about arithmetic, not ideas about infinity. For the record, I don’t believe that Keira was nervous about Grade 3 math. Rather, she has picked up on peoples’ perceptions of mathematics: math is something that is okay to be nervous about.